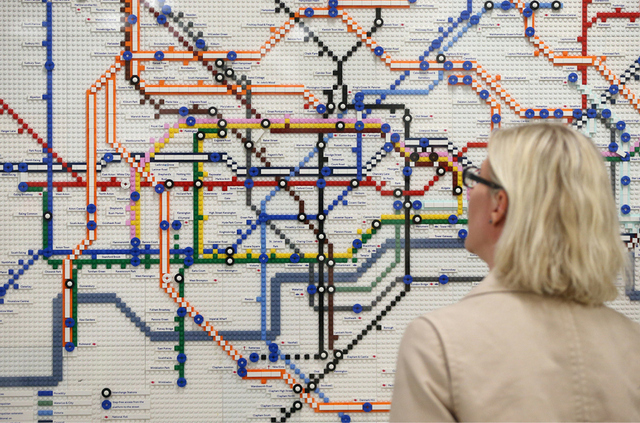 The London Underground is celebrating its 150th anniversary with the addition of five Lego maps that chart the evolution of the underground from 1927 to today, and then project what the Tube may look like in 2020. 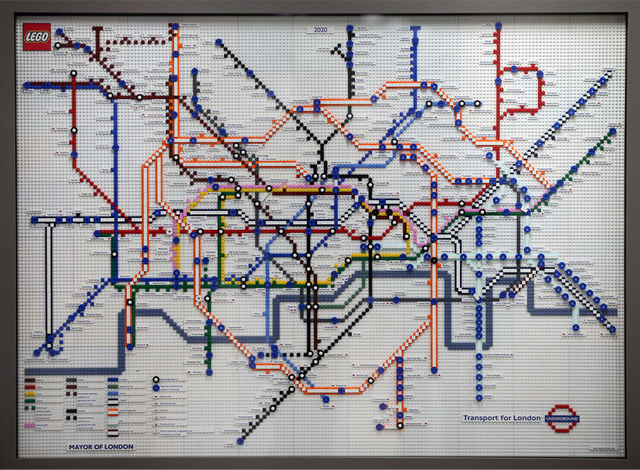 Each map is made of about 1000 Lego bricks, and the five maps are on display at South Kensington, Piccadilly Circus, Green Park, Stratford, and King’s Cross station until the end of the summer, at which point they’ll be moved to the London Transport Museum. 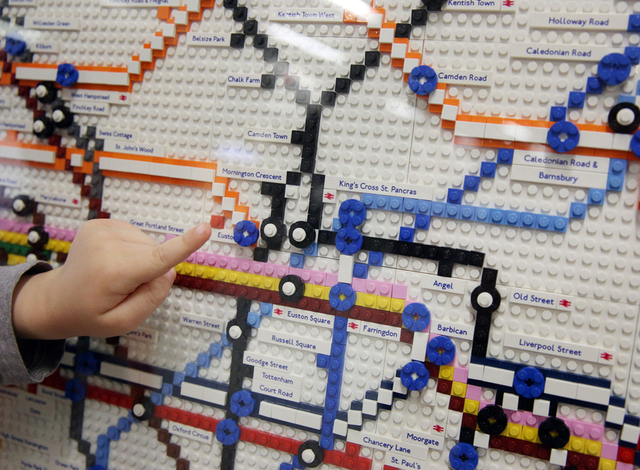 More photos of the colorful Lego maps can be found at BuzzFeed and Digital Arts.